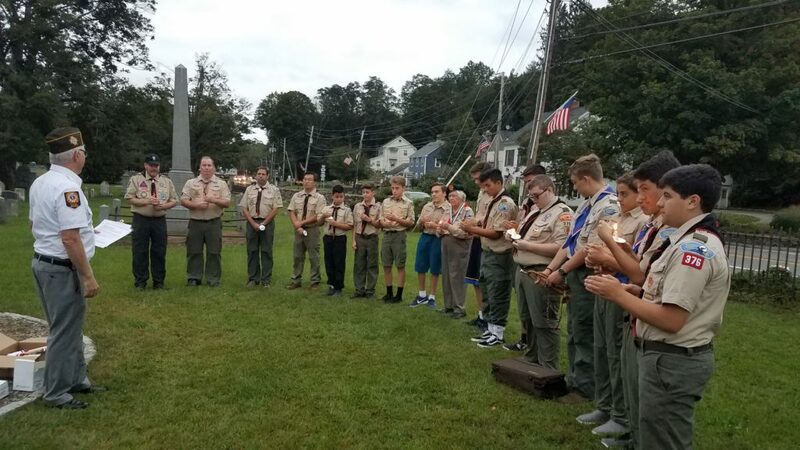 Our Troop had a great turn out at the POW/MIA ceremony held at the Ivandell Cemetery in Somers on Friday, September 21st. The Troop was represented by 13 Scouts, 7 Leaders and many Troop Parents. Our Scouts distributed ceremony candles and our Troop Bugler, William Siebert, played Taps. It was a fantastic show of support for our Veterans & Community … thanks to All who took the time to attend!